(Mynewsdesk) fos4X bietet mit retroX eine stand-alone Retrofit-Lösung zur Digitalisierung und Effizienzsteigerung von Bestandsanlagen und unterstützt Betreiber ideal bei einem möglichen Weiterbetrieb nach Auslaufen der EEG-Förderung. retroX ist ab Q2 2019 für verschiedene Anlagentypen (multi brand) verfügbar. Transparenz und Handlungsempfehlungen zu Leistung und AnlagenzustandretroX ist eine herstellerunabhängige stand-alone Lösung, die ohne direkte Integration in die Steuerung der Anlage arbeitet. Einzelne Anlagen sowie gesamte Parks können in einer cloudbasierten IIoT Umgebung digital eingebunden werden. Neben der Bereitstellung der Anlagendaten in der fos4X Cloud Plattform ist zudem die Integration in bereits bestehende Betriebsführungssoftware möglich. Dr. Lars Hoffmann, Gründer und CEO von fos4X GmbH. Ertragsoptimierung und OPEX Reduktion – Schneller Return on InvestmentDie initiale Investition für retroX bleibt durch Nutzung der standardisierten fos4Blade Sensor Plattform konkurrenzlos niedrig. Zusätzliche modulare, digitale Optimierungspakete bilden eine flexible und ganzheitliche Lösung. Es wird somit erstmals möglich, Bestandsanlagen, die sich bereits in der zweiten Dekade ihrer Entwurfslebensdauer befinden, ökonomisch sinnvoll nachzurüsten. Höhere Verfügbarkeit und effizienterer Betrieb der Anlage durch retroX führen zu einer sehr schnellen Amortisation des Investments. 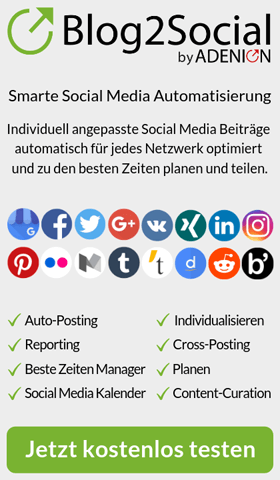 Zeitgleich wird durch die Echtzeitverfügbarkeit von Betriebs- und Zustandsdaten optimierte Wartung und reduzierte Betriebskosten realisiert. Lastdaten unterstützen Entscheidung über WeiterbetriebretroX bereitet Betreiber von Windkraftanlagen optimal auf die anstehende Beurteilung zur erweiterten Anlagenlebensdauer vor. Durch die Langzeiterfassung von Lastdaten und deren Extrapolation wird eine anlagenspezifische Lasthistorie über die gesamte Betriebsdauer erstellt. Bisherige, konservative Lastannahmen bei der Berechnung der Restnutzungsdauer werden durch qualifizierte und belastbare Daten ergänzt. (Mynewsdesk) With retroX, fos4X offers a stand-alone retrofit solution for digitizing and improving the efficiency of existing turbines and supports operators for potential extended operation after the expiration of the EEG subsidy. retroX will be available for different turbine types (multi brand) from Q2 2019. Transparency and Recommended Actions on Performance and ConditionretroX is a manufacturer-independent, stand-alone solution that works without direct integration into the turbine control system. Individual turbines, as well as entire wind farms, can be digitally integrated into a cloud-based IIoT environment. In addition to providing turbine data in the fos4X cloud platform, integration into existing management software is also possible. Dr. Lars Hoffmann, founder and CEO of fos4X GmbH. Yield Optimization and OPEX Reduction – Fast Return on InvestmentBy using the standardized fos4Blade sensor platform, the initial investment for retroX is extremely low. Additional modular, digital optimization packages form a flexible and holistic solution. For the first time, an economically sensible retrofitting of existing turbines in their second decade of design-life is made possible. Higher availability and more efficient operation of the turbine through retroX lead to a very fast amortization of the investment. At the same time, the real-time availability of operating and status data enables optimized maintenance and a reduction in operating costs. Load Data Support Decision on Continued OperationretroX prepares operators of wind turbines optimally for the upcoming assessment of the extended service life of wind turbines. Through the long-term recording of load data and its extrapolation, a plant-specific load history is created over the entire operating life. Previous conservative load assumptions for the calculation of the remaining service life are supplemented by qualified and reliable data. Founded in Munich in 2010, fos4X GmbH is a specialist for reliable, fiber-optic measurement and sensor technology as well as for innovative data analysis. It develops IIoT and edge computing solutions and enables significant cost reductions and efficiency increases for the wind industry. This technology is primarily used in wind turbine rotor blades. In addition, fiber-optic sensors and solutions are also used in the fields of electromobility, process measurement technology and railway technology. Today, billions of media files are hosted on tons of different platforms like YouTube, Vimeo, Soundcloud, Slideshare, Instagram and much much more and than scattered to websites, blogs or social media. Keeping track of only relevant and interesting stuff is almost impossible – for consumers as well as corporates. Straight from Berlin, Germany there comes MovBoxx to tackle the existing problem of collecting and organizing all your mediafiles, profiles and even just your impressions. MovBoxx offers a great opportunity to collect all kind of media files in a complete new and super easy way with just one simple click to get access to them anytime, anywhere & on any device. MovBoxx actually focuses on videos, music & slides but also texts and pictures are in the pipeline. Focused on straight-forward and high-end user experience, MovBoxx is your place to go when it comes to collecting & organizing various mediafiles and profiles from platforms like Youtube, Vimeo, Soundcloud, Slideshare or even Pinterest, Facebook, Instagram and many more but also exploring amazing content from pages you never heard about. MovBoxx is still in early stage, but things are evolving day by day. But like growing a great flower it needs some water and some love. This is why MovBoxx is looking forward to extend strategic & corporate partnerships and also raise the first investment round. It seems MovBoxx could be a real interesting and handy tool to fix the problem of losing track within the jungle of media files out there. MovBoxx offers solutions for both sides. B2C & B2B clients will find some amazing solution to structure their mediafiles, profiles and impressions. The B2C version is online under www.movboxx.com and still updated on regular bases with great new features to make it even more easier, faster & safer. The B2B version is currently under development based on requirements of existing corporate partners. Start your own channels now and see what Movboxx can do for you. MovBoxx – Keep your things organized. 2016 Global Orthotic Devices Orthotic Splints and Orthopedic Braces and Support Industry Report is a professional and in-depth research report on the world’s major regional market conditions of the Orthotic Devices Orthotic Splints and Orthopedic Braces and Support industry, focusing on the main regions (North America, Europe and Asia) and the main countries (United States, Germany, Japan and China). The report firstly introduced the Orthotic Devices Orthotic Splints and Orthopedic Braces and Support basics: definitions, classifications, applications and industry chain overview; industry policies and plans; product specifications; manufacturing processes; cost structures and so on. Then it analyzed the world’s main region market conditions, including the product price, profit, capacity, production, capacity utilization, supply, demand and industry growth rate etc. In the end, the report introduced new project SWOT analysis, investment feasibility analysis, and investment return analysis. The report includes six parts, dealing with: 1.) basic information; 2.) the Asia Orthotic Devices Orthotic Splints and Orthopedic Braces and Support industry; 3.) the North American Orthotic Devices Orthotic Splints and Orthopedic Braces and Support industry; 4.) the European Orthotic Devices Orthotic Splints and Orthopedic Braces and Support industry; 5.) market entry and investment feasibility; and 6.) the report conclusion. 2016 Global Non Fusion Spinal Devices Industry Report is a professional and in-depth research report on the world’s major regional market conditions of the Non Fusion Spinal Devices industry, focusing on the main regions (North America, Europe and Asia) and the main countries (United States, Germany, Japan and China). The report firstly introduced the Non Fusion Spinal Devices basics: definitions, classifications, applications and industry chain overview; industry policies and plans; product specifications; manufacturing processes; cost structures and so on. Then it analyzed the world’s main region market conditions, including the product price, profit, capacity, production, capacity utilization, supply, demand and industry growth rate etc. In the end, the report introduced new project SWOT analysis, investment feasibility analysis, and investment return analysis. The report includes six parts, dealing with: 1.) basic information; 2.) the Asia Non Fusion Spinal Devices industry; 3.) the North American Non Fusion Spinal Devices industry; 4.) the European Non Fusion Spinal Devices industry; 5.) market entry and investment feasibility; and 6.) the report conclusion. 2016 Global Methyl Diethanolamine (MDEA) Industry Report is a professional and in-depth research report on the world’s major regional market conditions of the Methyl Diethanolamine (MDEA) industry, focusing on the main regions (North America, Europe and Asia) and the main countries (United States, Germany, Japan and China). The report firstly introduced the Methyl Diethanolamine (MDEA) basics: definitions, classifications, applications and industry chain overview; industry policies and plans; product specifications; manufacturing processes; cost structures and so on. Then it analyzed the world’s main region market conditions, including the product price, profit, capacity, production, capacity utilization, supply, demand and industry growth rate etc. In the end, the report introduced new project SWOT analysis, investment feasibility analysis, and investment return analysis. The report includes six parts, dealing with: 1.) basic information; 2.) the Asia Methyl Diethanolamine (MDEA) industry; 3.) the North American Methyl Diethanolamine (MDEA) industry; 4.) the European Methyl Diethanolamine (MDEA) industry; 5.) market entry and investment feasibility; and 6.) the report conclusion. 2016 Global IGZO Display Industry Report is a professional and in-depth research report on the world’s major regional market conditions of the IGZO Display industry, focusing on the main regions (North America, Europe and Asia) and the main countries (United States, Germany, Japan and China). The report firstly introduced the IGZO Display basics: definitions, classifications, applications and industry chain overview; industry policies and plans; product specifications; manufacturing processes; cost structures and so on. Then it analyzed the world’s main region market conditions, including the product price, profit, capacity, production, capacity utilization, supply, demand and industry growth rate etc. In the end, the report introduced new project SWOT analysis, investment feasibility analysis, and investment return analysis. The report includes six parts, dealing with: 1.) basic information; 2.) the Asia IGZO Display industry; 3.) the North American IGZO Display industry; 4.) the European IGZO Display industry; 5.) market entry and investment feasibility; and 6.) the report conclusion. 2016 Global Heat Exchanger Equipment for Nuclear Power Industry Report is a professional and in-depth research report on the world’s major regional market conditions of the Heat Exchanger Equipment for Nuclear Power industry, focusing on the main regions (North America, Europe and Asia) and the main countries (United States, Germany, Japan and China). The report firstly introduced the Heat Exchanger Equipment for Nuclear Power basics: definitions, classifications, applications and industry chain overview; industry policies and plans; product specifications; manufacturing processes; cost structures and so on. Then it analyzed the world’s main region market conditions, including the product price, profit, capacity, production, capacity utilization, supply, demand and industry growth rate etc. In the end, the report introduced new project SWOT analysis, investment feasibility analysis, and investment return analysis. The report includes six parts, dealing with: 1.) basic information; 2.) the Asia Heat Exchanger Equipment for Nuclear Power industry; 3.) the North American Heat Exchanger Equipment for Nuclear Power industry; 4.) the European Heat Exchanger Equipment for Nuclear Power industry; 5.) market entry and investment feasibility; and 6.) the report conclusion. 2016 Global Glass Additives Industry Report is a professional and in-depth research report on the world’s major regional market conditions of the Glass Additives industry, focusing on the main regions (North America, Europe and Asia) and the main countries (United States, Germany, Japan and China). The report firstly introduced the Glass Additives basics: definitions, classifications, applications and industry chain overview; industry policies and plans; product specifications; manufacturing processes; cost structures and so on. Then it analyzed the world’s main region market conditions, including the product price, profit, capacity, production, capacity utilization, supply, demand and industry growth rate etc. In the end, the report introduced new project SWOT analysis, investment feasibility analysis, and investment return analysis. The report includes six parts, dealing with: 1.) basic information; 2.) the Asia Glass Additives industry; 3.) the North American Glass Additives industry; 4.) the European Glass Additives industry; 5.) market entry and investment feasibility; and 6.) the report conclusion. 2016 Global Furfuryl Alcohol Industry Report is a professional and in-depth research report on the world’s major regional market conditions of the Furfuryl Alcohol industry, focusing on the main regions (North America, Europe and Asia) and the main countries (United States, Germany, Japan and China). The report firstly introduced the Furfuryl Alcohol basics: definitions, classifications, applications and industry chain overview; industry policies and plans; product specifications; manufacturing processes; cost structures and so on. Then it analyzed the world’s main region market conditions, including the product price, profit, capacity, production, capacity utilization, supply, demand and industry growth rate etc. In the end, the report introduced new project SWOT analysis, investment feasibility analysis, and investment return analysis. The report includes six parts, dealing with: 1.) basic information; 2.) the Asia Furfuryl Alcohol industry; 3.) the North American Furfuryl Alcohol industry; 4.) the European Furfuryl Alcohol industry; 5.) market entry and investment feasibility; and 6.) the report conclusion.